Welcoming Fall to Houston, AKA "That One Time Pinterest Threw Up All Over My Apartment"
When I'm not eating out, cooking, or LOVING food (which of course is always), sometimes I attempt (keyword: "attempt") to get a little crafty. Once I found this really cool confetti bowl project on Pinterest, and while staying with my boyfriend Jason's family, I thought it would be a fun project to do. And instead of confetti, why not use GLITTER?! One balloon pop and several horrifying hours of scraping confetti off of the floor, furniture, and, oh, CEILING, and I deduced that glitter and balloons aren't necessarily my friends. And that Jason's family are a bunch of saints for laughing it off. (Maybe in 52 years when they're still finding glitter in their couch cushions they'll be whistling a different tune, but I for sure would not blame them). 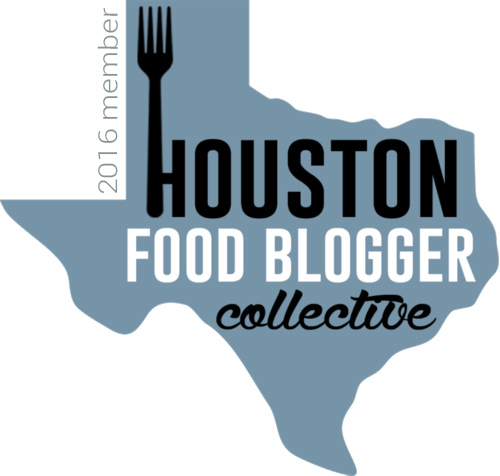 Now I know this isn't the standard foodie/Houston adventure blog post from me, but I wanted to share my recent [successful/glitter-bomb-explosion-free] day of crafting! A few weeks ago, on a balmy 92 degree Houston fall day, I found myself spending the hours daydreaming about my beloved New York autumns on Pinterest. Which, as we've learned, is always a dangerous thing. After invading the local Michael's, Jason eyeballed all of my bags and said: "Let me guess, Pinterest?" 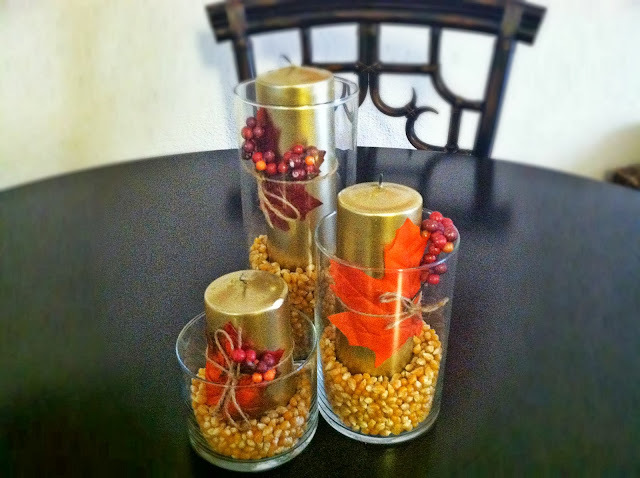 So I lit my amazing Bath & Body Works fall scented candles, and got to work! This silly wreath was inspired by Davis: Day by Day, and was super easy to make. Hers is way more beautiful, robust, and not at all silly, but I'm still proud of my little wreath that could! 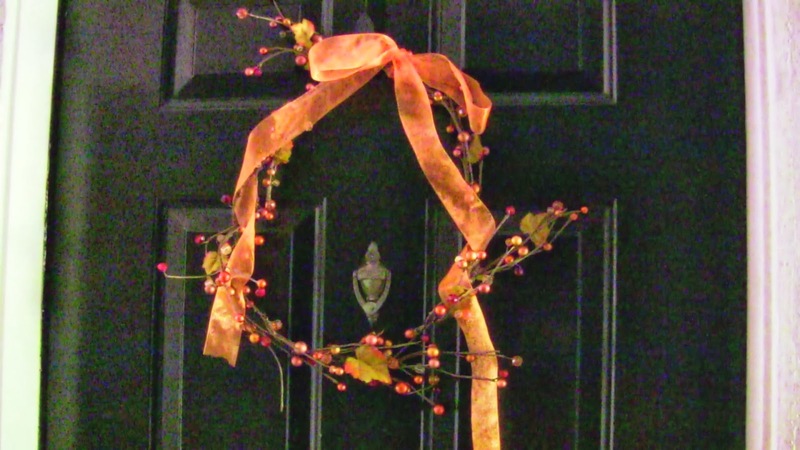 And shout out to my awesome co-worker Robin for donating her wreath hook to the cause! 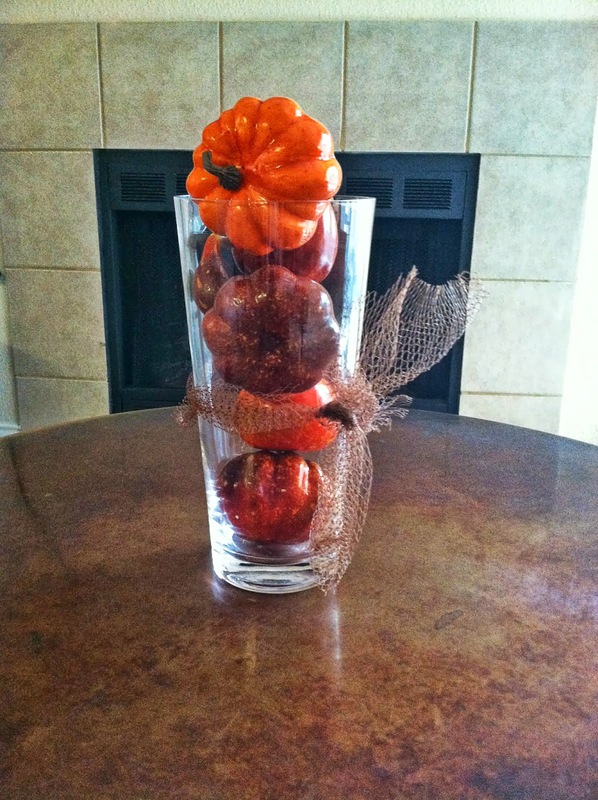 This pumpkin-filled vase (above) was something I just threw together. I bought the vase at a thrift store near me for super cheap, purchased a bag of fake baby pumpkins and gourds at Michael's for $5, and used the netted bag they came in as the bow. Voila! My dining room table centerpiece (pictured below) was inspired by New Ideas. Jason couldn't understand the concept of using popcorn kernels as decoration and not food, but I totally dug it. Since there are no real leaves around me that I can use, I bought some fake ones. I also added some extra berries I had leftover from the wreath. Also, do not light the candles. Your house will burn down. I just burned the wicks for a quick second because Jason says that's a decorating MUST (Um, thanks Candice Olson. HGTV? Anyone? No? Got it. ), but then I blew them out super quickly. Even though I'm still wearing shorts, have the A/C cranked up, and find myself sipping on mint juleps to cool me down on a daily basis (I've never had a mint julep, I just want to be Jay Gatsby except for the dead-in-a-pool part), seeing these simple little hints of autumn around my home definitely helps me get into the spirit of the harvest!